As an accomplished Military History author, Jonathon Riley has written 23 books and has co-authored and contributed to many more. 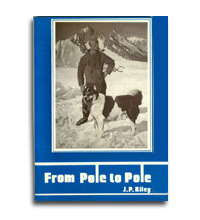 New edition of "From Pole to Pole", which will include new information released in files now open in the National Archives on 30 Commando in the Second World War, and new information on the Polar expeditions of the 1930s. 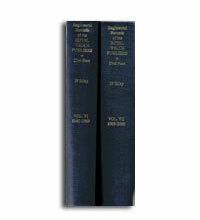 This Volume fills the gap between the end of Volume IV in November 1918 and the beginning of Volume VI in late 1945. During the Great War, the Regiment fielded a total of forty-five battalions, if the five battalions of the Volunteer Force are included. This is the fourth highest total of any regiment on the Army List during those years, and remarkable given the relative paucity of population in Wales, compared with the great urban centres of England. During the Second World War, and without double-counting those units which changed their title, the Regiment fielded three regular battalions, including a parachute battalion, seven Territorial battalions, six service battalions, two independent companies, three anti-tank companies or batteries, five artillery regiments and two independent H.G. troops, twenty-eight Home Guard battalions and three M.T. Companies – a total of fifty-one battalion-equivalent units. For this reason, Volume V has had to be divided into two parts. 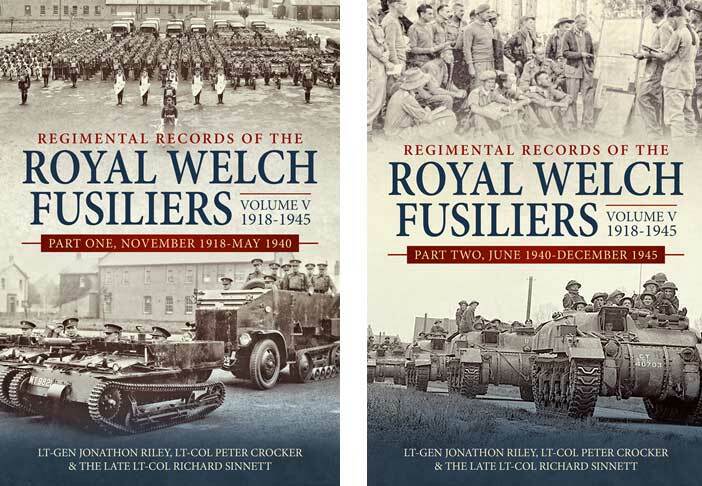 Part One covers the Regiment’s service from November 1918 – including a wrap-up of Great War units left unfinished in Volume IV – to the Summer of 1940; Part Two covers Summer 1940 to late 1945. The division in the Summer of 1940 was chosen because at that point, the 1st Battalion, 101st L.A.A. & A.T. Regiment and the Independent Companies had all been evacuated from Europe; the 2nd Battalion was homeward bound from India; the four first-line T.A. battalions had embarked for Northern Ireland; the four second-line T.A. battalions had been fully embodied; the first tranche of service battalions had been formed; and the Local Defence Volunteers were being transformed into the Home Guard. This seemed to the authors to be more logical than a rather artificial division on 3 September 1939. The emphasis of the volume is of course on the Second World War during which our battalions, independent companies and artillery regiments served in every major theatre and campaign, except Ethiopia and Syria. However the division into two parts has allowed a proper examination of the British Army between the wars and its deployments around the world. In addition to the Imperial garrisons and the experimentation programme at home, there were operations in North and South Russia, the Transcaucasus, Turkey, Germany, Cyprus, Palestine, Somalia, Eritrea, Egypt, Ireland, Afghanistan, the North-West Frontier of India and China. It was no long week-end. The Volume will be launched at the National Army Museum on 28 March 2019, where copies will be available at a discounted price. Details of this event will be circulated separately by Regimental Headquarters. There will then be signing events in Cardiff and Wrexham where again, books will be available at a discounted price; details will be circulated. 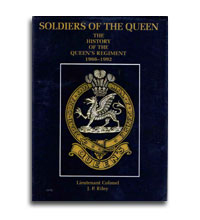 Thereafter, books can be ordered – again at a discount to past and present members of the Regiment – either for postal delivery or collection at Cardiff, Wrexham and Caernarfon. 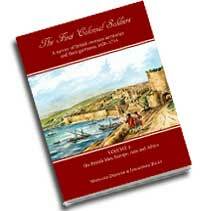 Regimental Records Volume V is being published as a commercial venture by Helion & Co. 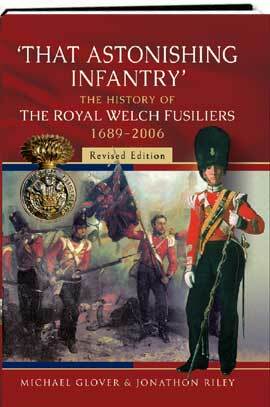 The copyright and royalties lie with the Regimental Museum of The Royal Welch Fusiliers, a registered service charity. The 38th (Welsh) Division was formed from many thousands of Welsh volunteers in late 1914 and 1915 as part of Kitchener’s New Armies – a force for the long war that he was the first to recognise. It was to be ready for battle in 1917. David Lloyd George strongly supported the expansion of the British Army and even hoped for a Welsh Army Corps, to be formed from the 38th, 53rd and 68th (Welsh) Divisions, along with the Welsh infantry and cavalry units drawn from regular divisions of the Army. 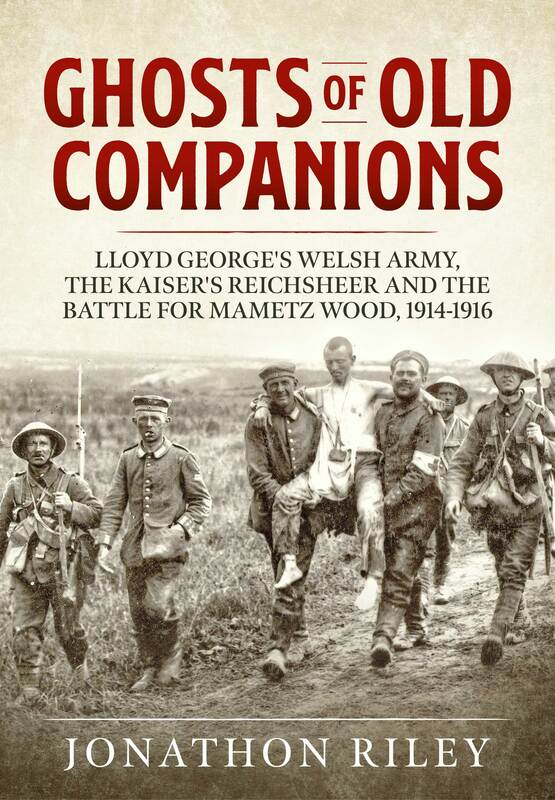 This book reveals new material on, among other matters, the forces involved, the Christmas Truce of 1915, the German fortifications of Mametz Wood and the casualties on both sides. 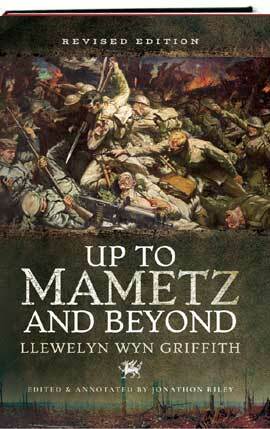 Llewelyn Wyn Griffith's Up to Mametz was published in 1931, forming one of the finest accounts of soldiering on the Western Front, telling the story of the creation of a famous Royal Welch Fusiliers. 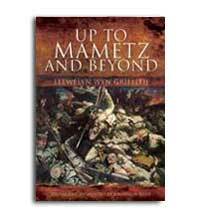 Jonathon Riley discovered Wyn Griffith's unpublished diaries and letters which pick up where Up to Mametz left off through to the end of the War;carefully editing and annotating the events of those missing years. The Royal Welch Fusiliers were one of the six Minden regiments who fought throughout the Peninsula and were present at Wellington's final glorious victory at Waterloo. Their officers included the writer poets Siegfried Sassoon and Robert Graves. This fine book is the lasting memorial to a fiercely proud and greatly admired regiment. 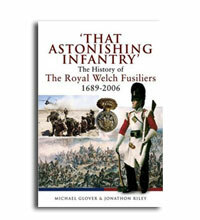 This is the new revised edition of THAT ASTONISHING INFANTRY is due out shortly. "When Charles II returned home he began the search for a dynastic marriage. 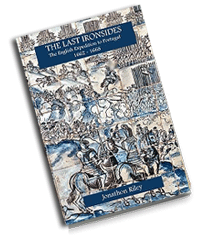 He fixed upon the Infanta of Portugal, Catherine of Braganza, whose dowry included the possession of Tangier, Bombay and valuable trade concessions..."
The author's detailed but lively text is fully supported by a range of illustrations and specially-commissioned maps. Everything Riley did was an education for us; his intellect and experience were invaluable...."
In the midst of the horrors of the Bosnian War, Richard Westley found himself commanding British troops in a battle to save an entire town from massacre. It proved to be one of the British Army's finest hours since the Second World War. In the summer of 1995, the Bosnian town of Goražde came under attack from the Bosnian Serb Army, despite having been designated a Safe Area by the United Nations. Soldiers of the Royal Welch Fusiliers, sent to the area as UN peacekeepers, outnumbered, lacking firepower and without air support, began to be taken hostage by the encroaching Serbian forces, while the city itself came under bombardment. 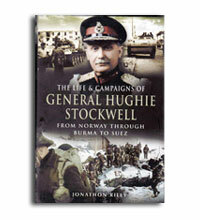 A biography of the most distinguished field commander of modern times. "The First Colonial Soldiers. Volume 2: the Americas and the Caribbean"
Volume 2 - part 2: The Southern Colonies, the Bermudas, Jamaica, the Barbadoes, the Leeward Islands and Central and South America.. 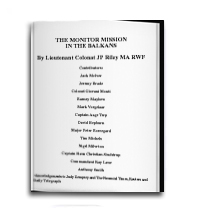 The collaboration between Wienand Drenth and Jonathon Riley gives the most detailed information on the military forces and garrisons, offering unparalleled and highly detailed data on this most fascination period of history. These two volumes give a most descriptive account for the first time, of Military Operations of the United Colonies, together with detailed lists of the officers and their Regiments. "The First Colonial Soldiers: A Survey of British Colonies and Their Garrisons, 1650 - 1714"
Volume 1: the British Isles, Europe, Asia and Africa. 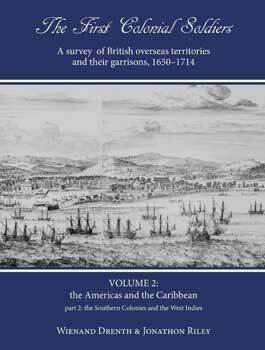 With an introduction by Professor John Childs, this volume covers the Channel Islands, the Isle of Man, Dunkirk, Mardyck, Gibraltar, Minorca, Tangier, the West African settlements, St Helena and the Far Eastern outposts of the Honourable East India Company. 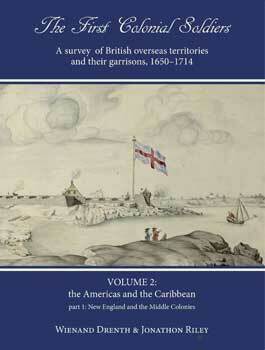 These Military History books provide full lists of the officers the regular and militia forces in the colonies and overseas territories, including biographical details; they also give details of the expeditions that seized the territories. 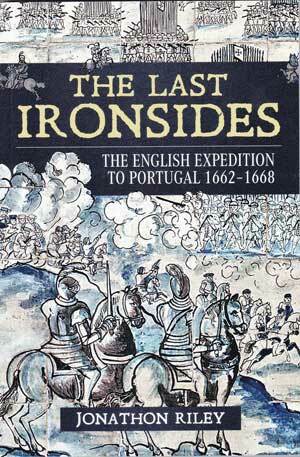 "The Last Ironsides: The English Expedition To Portugal, 1662 - 1668"
These battles and battlefields are described and mapped for the first time (in English at least) in more than 300 years. "When Charles II returned home he began the search for a dynastic marriage. He fixed upon the Infanta of Portugal, Catherine of Braganza, whose dowry included the possession of Tangier, Bombay and valuable trade concessions. The Portuguese had been fighting for their independence from Spain for twenty years and needed alliances to tip the scales in their favour." For the first time, we read personal testimonies from senior ranking Military Officers, who amidst high political controversy, were faced with the challenges and changes of the operational direction of war. 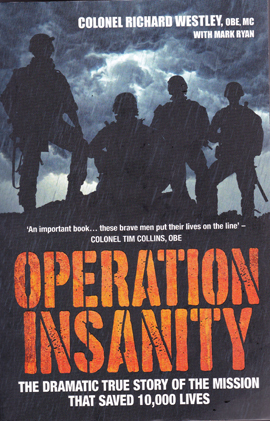 A true insight into Britain's involvement in major military operations... From Northern Ireland, through Kosovo and Sierra Leone, to Iraq and Afghanistan. 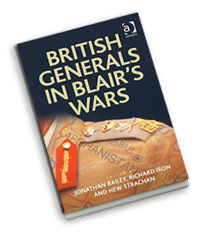 As one of the books' contributors, Jonathon Riley, provides a first-hand view of Britain's participation in the chapter entitled "NATO Operations in Afghanistan 2008–2009: A Theatre-Level View", which gives a 'real sense' of how the character of a war changes even as it is being fought. Essential reading for those in both Staff Colleges and Military Academies. 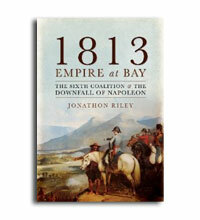 1813 was a critical year in the world war that ended with the downfall of Napoleon. In a series of major battles, the converging armies of the Sixth Coalition drove the French forces back. 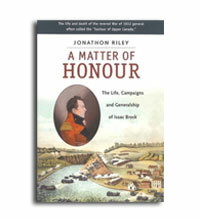 In graphic detail, Riley covers the 1813 campaigns, which have received less attention than those of 1812 and 1814/15 in spite of the fact that all the decisive moments came in 1813 - save for one: Waterloo. The monument to Isaac Brock (1769 1812) on Queenston Heights in Canada, as high as Nelson s column in London, pays tribute to the military commander of all troops opposing the American invasion of Canada during the War of 1812. He was killed on the morning of 13 October 1812, leading a company of the 49th Foot in a counter-attack. 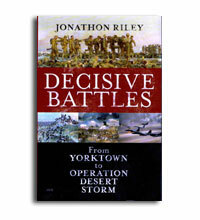 Jonathon Riley draws on his personal experience as a soldier and historian to explore the definitive battles of the modern era from Yorktown in 1781 to Operation Desert Storm in 1991. Each battle included is a turning point, the outcome of which has changed the face of history. This book picks up where "Up to Mametz" the creation of the famous Welsh wartime battalion (The Royal Welch Fusiliers) left off. General Jonathon Riley, on discovering Wyn Griffith's unpublished diaries and letters, with careful editing and annotation, presents the events of these missing years, alongside the original work. 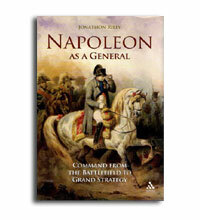 Opens with a short treatise on generalship, defining Napoleon's achievement before moving on to the man himself. 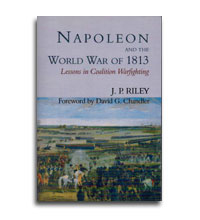 Riley examines Napoleon as a strategist; as a coalition commander; Napoleon's campaigns & Napoleon on the battlefield. 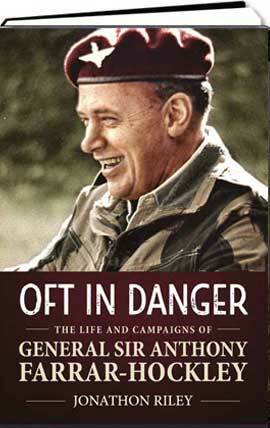 A timely biography of a soldier at the heart of the action during World War II and turbulent post-war years. Commissioned into the Welch Fusiliers he fought in Norway 1940, commanded the Special Training Centre at Lochailort & 2nd Battalion Royal Welch Fusiliers during the successful invasion of Madagascar 1942. The Royal Welch Fusiliers, were one of the six Minden regiments; they fought throughout the Peninsula and were present at Wellington's final glorious victory at Waterloo. Their 22 battalions fought not just on the Western Front but Gallipoli, Egypt, Palestine, Salonika, Mesopotamia and Italy. Brigadier Riley's approach, has in many ways cut 'the Gordion knot' of this difficult period. This analysis of the world war between Napoleon and the 6th coalition in 1813 covers operations in Europe, Spain and North America, examining differences between long-term international relationships in alliances & the short-term union of coalitions. 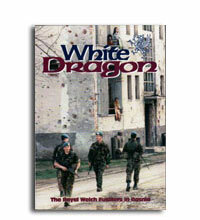 A copiously illustrated record of the Battalion's 1995 tour of duty in Bosnia. Quintin Theodore Petroc Molesworth Riley was born on 27 October 1905. In 1930, he was enlisted as meteorologist on the British Arctic Air Route Expedition from 1930 to 1931 spending a further year in Greenland. He then joined the British Graham Land Expedition from 1934 to 1937 serving as meteorologist and commissariat officer. Lieutenant-General Jonathon Riley was serving on it at the time as Head of Mission. It has since been used as a source at the International Criminal Tribunal Yugoslavia. University. 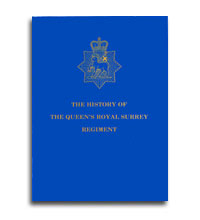 The definitive history of the Regiment from the end of the Second World War to 2000. 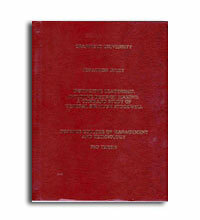 Volume VI (1945-69) has 489p 94 photographs plus illustrations and maps. 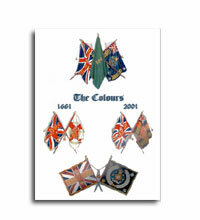 Volume VII (1969-2000) has 506p 105 photographs plus illustrations and maps).